Biowaste management has become a major issue because of the increasing amount of biowastes. These stem from increasing polulation urbanization and consumption habits. Current biowaste management practices are based on fermentation and incineration technologies. These practices produce biogas, compost, thermal and electrical energy. The processing costs exceed the sale value of the products and/or raise issues connected to their secondary environmental impact. 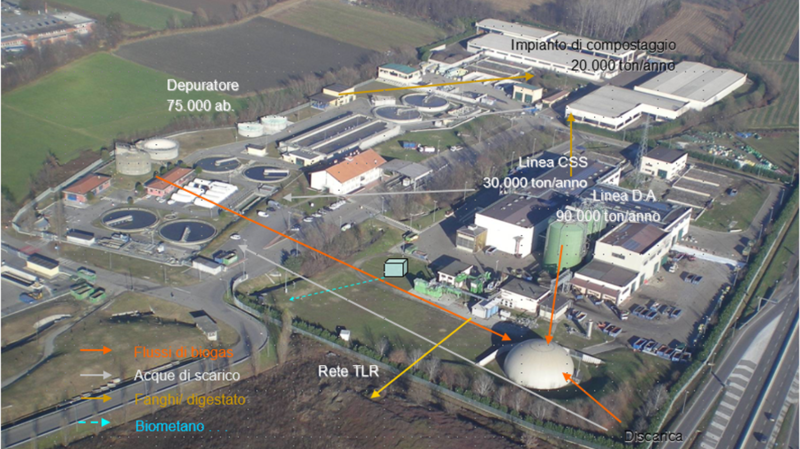 Based on previous research work1 carried out by the University of Torino in cooperation with Acea Pinerolese Spa located in Pinerolo (TO), LIFECAB will demontrate in real operational a new process to treat municipal biowaste (MBW) and produce soluble biorganic substances (SBO). These substances will be used as additives for anaerobic fermentation reactors to improve the economy and environmental impact of the current fermentation technology. demonstrating a new business model, which allows the valorization of biowastes through integrated biochemical and chemical processes in real operational environment with reduced entrepreneurial risk. Anaerobic fermentation of biowaste in dedicated bioreactors is a diffuse practice to produce biogas and convert its chemical energy to thermal and electrical energy. This practice accomplishes two objectives. It reduces the amount of biowaste disposed by landfill and, at the same time, diminishes the consumption of fuel and consequent emission of carbon dioxide from fossil source. Together with biogas, the fermentation produces a digestate slurry. This contains the recaciltrant organic matter non converted to biogas. In principle, the digestate can be used for land spreading and/or as fertilizers. However, it needs a secondary treatment before use to limit its potential environmental impact. The problem of organic N mineralization occurs also in animal husbandry that in turn impacts agriculture. These two activities are strongly related, in as much as agriculture provides feed for animals and these provide manure to recycle to soil as fertilizer for agriculture. Proteins are the main source of NH3 during animal feed digestion as the result of proteolytic bacteria activity. Indeed, deficient intestinal fermentation results in increased proteolysis and release of toxic substances, such as NH3 and amines. In this fashion, manure may have negative environmental impact, due to emission of GHG and leaching of mineral N through soil and ground water. For example, typical levels of aerial NH3 in pig farm facility range between 5 and 35 ppm, against suggested threshold 25 ppm values. The previous research results2-3 prospect that the problem of ammonia removal can be solved just by adding a low amount of SBO to fermentation reactors of any size, without needing the digestate transportation to large centralized facilties or sustaining high CAPEX and OPEX costs. To realize the project objectives, LIFECAB will build a hydrolysis prototype (HP) facility of 50 t/yr SBO production capacity, and then use SBO as additive in anaerobic digestion reactors fed with OHF to demonstrate that digestate with controlled NH3 content can be obtained. The SBO producing HP will be located at the ACEA plant (Figure 1). Figure 1. Aerial view of Acea Pinerolese plant in Pinerolo (TO), Italy. The plant provide services for a population of 800000 inhabitants, distributed partly in a consortium of 47 nearby municipalities (150.000 abitanti) and partly in the province of Torino. Figura 1 shows the 4 sections of the plant. In the first, OHF from the separate collection of municipal biowaste is fermented in two 2600 m3 bioreactors to produce biogas and digestate. In the second, urban sewage sludge is allowed fermenting to produce biogas and sludge digestate. In the third, the digestate from the firtst and/or the second section is mixed with uraban private gardening residues and opublic park trimmings and composted. In the fourth, the landfil section , biogas is produced and collected to be added to the biogas from the first and second section. This fourth section will be progressively reduces, as the plant will increasing its fermentation capacity in the first section. The plant currently processes 60,000 ton/yr of MBW, produces 6 Mm3 biogas and 5,000 ton compost. Biogas is used to produce electrical and thermal energy, partly utilized for the plant internal needs, and partly to heat 2500 abitazioni homes and provide electrical energy for 5700 homes. The compost is sold at about 15 €/ton for use in floriculture. In LIFECAB, the HP will be integrated into the existing Acea fermentation facilities. It will produce SBO by hydrolysing the plant composhe SBO will then be added to one of the two Acea bioreactors, allowing a direct comparison with the other reactor used as control in real time. This experimental plan will be replicated at two other sites in Greece and Cyprus, through collaboration of the project partners in these countries. In this fashion, LIFECAB plans to demonstrate the virtuous biowaste cycle depicted in Figure 2. Figure 2. Virtuous biowaste cycle to be realized at the Acea Plant (Figure 1) during LIFECAB life. B2. Design and construction of prototypes: (i) one composted MBW hydrolysis prototype (HP) to be operated to produce SBO; (ii) 2 anaerobic digestion (ADP) and 2 composting prototypes. B3. Production of SBO from composted MBW supplied by different partners, using SBO obtained from the compost at each partner own sites. B4. Carrying out anaerobic fermentation, processing local raw MBW. For the project implementation action, the two reactors will be used one for the control and the other for the SBO treated fermentation. The ADP from action B2 will be used comprising two 1 m3 reactors, one for the control and the other for the treated fermentation. B5. Life cycle assessment. Calculation and optimization of the new process economic and environmental impact as a function of the MBW nature at the different partners locations, in order to assess results replicability and process transferability. ACEA Pinerolese Industriale S.p.A., Via Vigone, 42, Pinerolo (TO), Italy. Muncipal biowaste treatment company, ambiente.aceapinerolese.it. Cyprus University of Technology, 30 Archbishop Kyprianou Str, Limassol, Cyprus. www.cut.ac.cy. POOL.ITI S.r.l., Via Farini Luigi Carlo , 44, Modena, Italy. Company managing national, european and extra-european innovative projects. Sewerage Board of Limassol – Amathus, Franklin Rousvelt 76, Building Α, Limassol, Greece. Public utility organisation for construction, operation and maintenance of the central sewerage system and municipal wastewater of Limassol, www.sbla.com.cy. Università di Torino, Via Giuseppe Verdi, 8, Torino; Dipartimento di Scienze Agrarie, Forestali e Alimentari, Largo P. Braccini 2, 10095 Grugliasco (TO), Italy. UNITO – Enzo Montoneri, enzo.montoneri@unito.it; Michèle Negre, michele.negre@unito.it. (1) Availability of HP yielding SBO by hydrolysis of compost (CP) of municipal biowastes (MBW) from different EU locations. (2) Producing 50 t SBO for use as additive in anaerobic digestion tests performed in real operational environment or at pilot scale in the project. (3) Validating and replicating, in real operational environment or at pilot scale in partner countries, previously published laboratory data on new MBW anaerobic fermentation process assisted by added SBO for producing digestate (DG) with low NH3 content. (4) Demonstrating new business model at low entrepreneurial risk for the valorization of MBW as source of SBO for in-house use and market allocation for other uses. Expected yearly outputs based on Acea model MBW treatment plant treating 60000 MBW t/yr: 6 Mm3 biogas, 6000 t DG, 5000 t CP (from 18000 t gardening wastes and DG mixed in 2/1 w/w ratio to yield CP after 70 % mass reduction), 1000 SBO t from CP hydrolysis, 100 SBO t/yr for in house use, 900 t/ yr sold in external market. (5) Calculating EU economic benefits of the new fermentation process not requiring secondary digestate treatment for abating NH3 compared to conventional technology: i.e. 30 M€/yr savings from fermentation of 100 Mt/ yr EU produced MBW. (6) Calculating EU environmental benefits of the new process, i.e. 15 % (55 Mt/ yr) CO2 and 100 % (450,000 t/yr) NH3 lower emission. (7) Stimulating landfill practices dismissal in EU countries by the attracting benefits of the project new MBW technology. (8) Assessing feasibility of technology transfer of the new project hydrolysis and fermentation processes and perspectives of improved waste treatment education in EU Member States that are less active in MBW management practices. (9) Contributing new technology for fermenting other biowastes, such as manure or sewage sludge, that does not requiring secondary DG treatment for soil spreading. (10) Improving water quality for reuse in the new chemical and biochemical LIFECAB addressed processes. (11) Improving DG quality for use as soil fertilizer. Based on the above results, benefits are expected at two stages: in the short term, from the application in real operational environment of the new MBW anaerobic digestion process; in the longer term, from promoting biorefinery construction for SBO production at reduced entrepreneurial risk. By the production and use of SBO obtained from MBW, LIFECAB is expected to reduce the above described environmental problems for the following reasons. Transfer of the SBO production and assisted fermentation technology to EU biowaste treatment plants is likely to bring about important environmental benefits. A total of 3500 composting and 2500 anaerobic digestion facilities operate in EU. The potential compost production from most valuable inputs is estimated at 35 to 40 Mt. In this context, the production and use of SBO is expected to make effective a virtuous cycle throughout EU. The economic benefits deriving from the production and use of SBO from MBW have been reported very appealing.1-3 These may encourage communities to dismiss landfills and reduce incineration practices in the perspective of more economically rewarding and ecofriendly technology. The above benefits are likely to occur also for small farms and sewage sludge facilities. The proposed LIFECAB technology is very simple and can be applied in bioreactors of any size. Small farms can purchase the SBO, once it becomes a marketed product, and add it in small amounts to the local biogas reactor. This would allow producing locally an environmentally friendly digestate with controlled amount of ammonia, with an estimated cost of 0.2-1 €/N kg, without purchasing and operating secondary treatments facilities. By comparison, the ammonia abatement cost by currently available technology for the secondary treatment of the produced digestate runs 1.6 $/N kg. Considering that the total EU manure production is one order of magnitude higher the food loss and waste,4 that manure is spread over a myriad of small farms, whereas food wastes are concentrated in urban areas collection facilities, and the impossibility of adapting current conventional technologies at small farm scale, the proposed LIFECAB technology applied to manure has potential to achieve additional high beneficial environmental impact throughout EU countries. Similar benefits are expected for the treatment of sewage sludge, where a secondary treatment for abatement of ammonia would not be necessary. The longer term after project end indirect benefits would stem from using SBO in agriculture, in animal husbandry and in the chemical industry in place of current commercial products. In agriculture, the use of SBO at lower dosed than compost is expected to enhance plant growth and productivity, while reducing the environmental problems connected to the use of compost. The use of SBO as feed supplement1 for animal husbandry is expected to reduce GHC emission, and ammonia and nitrate leachates from manure. The use of SBO in place of synthetic chemical products for diversified uses1 would contribute to decrease the depletion of fossil sources and the consequent CO2 emission. For example, EU legislation considers that digestates/composts may be beneficial due to their action of C sequestration by reducing CO2 and atmospheric pollutant emissions. It is estimated approximately 50 kg C sequestered per ton of wet compost. The ultimate benefits from recycling are a more sustainable economy and the possibility of reducing chemical fertilizers. The more ecofriendly LIFECAB digestate and/or SBO are expected to generate the same benefits, while reducing the environmental impact of the traditional current composts and digestates outlined above. It is obvious that, to enter the market, the SBO must meet regulatory requirements. Based on chemical composition,1 sourcing material and production process, the SBO fall well into the category of fertilizers (Italian DL 29 aprile 2010, n. 75). Moreover, UNITO has proven the SBO safety for use in agriculture and animal diet. 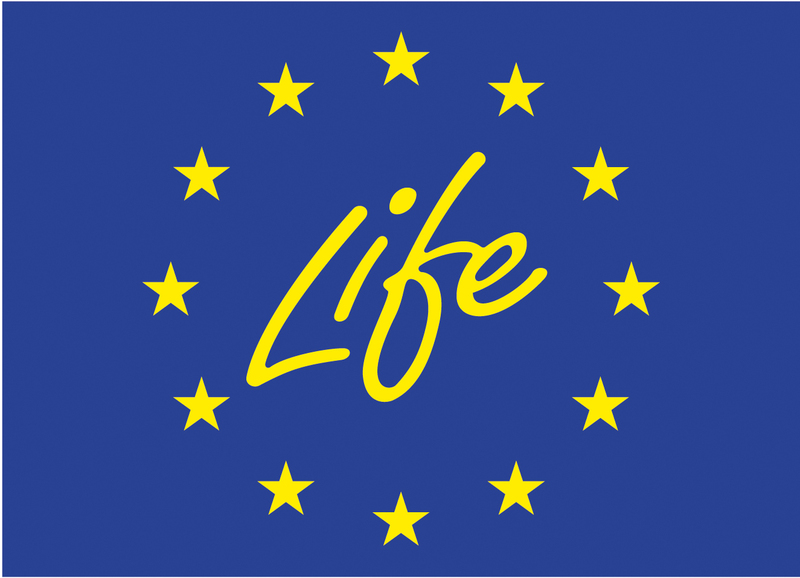 Actions, after LIFECAB ends, will provide additional data to foster legislative authorization of SBO marketability according to EU REACH regulation. This perspective is an innovative potential beyond the state-of-art of MBW derived products. 1. E. Montoneri, Municipal Waste Treatment, Technological Scale up and Commercial Exploitation: The Case of Bio-waste Lignin to Soluble Lignin-like Polymers, In: Food Waste Reduction and Valorisation, Chapter 6, 2017, Morone, P., Papendiek, F., Tartiu, V. E. (Eds.) Springer, doi:10.1007/978-3-319-50088-1. 2. Biochemical and chemical technology for a virtuous biowaste cycle to produce biogas without ammonia and speciality bio-based chemicals with reduced entrepreneurial risk. M. Francavilla, L. Beneduce, G. Gatta, E. Montoneri, M. Monteleone, D. Mainero, J Chem Tech Biotechnol 2016, 91: 2679–2687, DOI 10.1002/jctb.4875. 3. 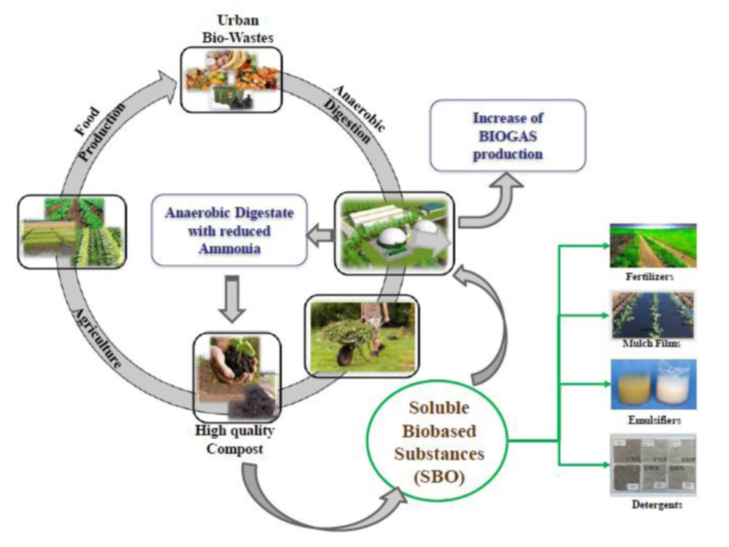 Waste cleaning waste: ammonia abatement in biowaste anaerobic digestion by soluble substances isolated from biowaste compost. M. Francavilla, L. Beneduce, G. Gatta, E. Montoneri, M. Monteleone, D. Mainero. Biochem. Eng. J. 2016, 116, 75-84, doi:10.1016/j.bej.2016.02.015.